Bed bugs are a common issue, especially in cities, and getting rid of them can be difficult, time-consuming, and expensive. 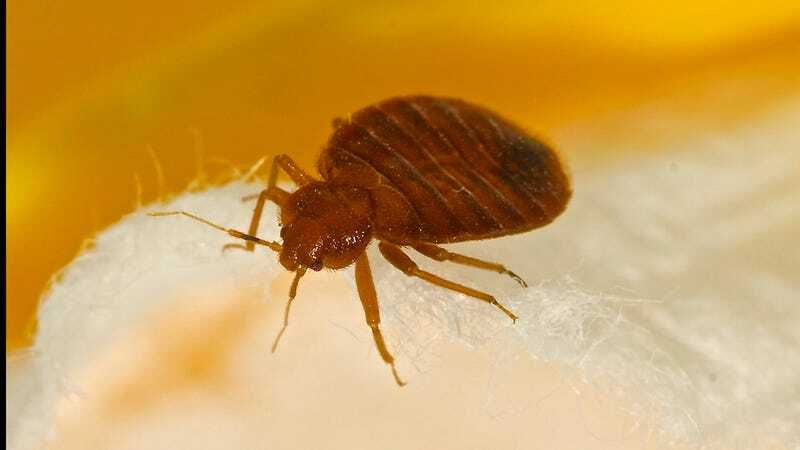 The Onion presents tips for treating a bed bug infestation. Come to terms with the fact that your body is but a warm, meaty trough. Wear thick, long-sleeved pajamas to bed so that the bugs are nice and warm. Try luring the bed bugs away by placing a trail of furniture leading out of your apartment. Use reverse psychology on the bed bugs by sleeping in your bed anyway and constantly talking out loud about how comfortable you are. Get a mattress-sized plastic bag with airtight sealing; sleep in it from now on. Accept that bed bugs are one of the less glamorous parts of living in a big city, like riding the subway and failing to achieve your dreams. During fumigation, make plans to spend the week in your non-bed-bug-affected home. Make sure the exterminators keep one bed bug alive so that you can send it away with firm instructions to tell the others what it saw.